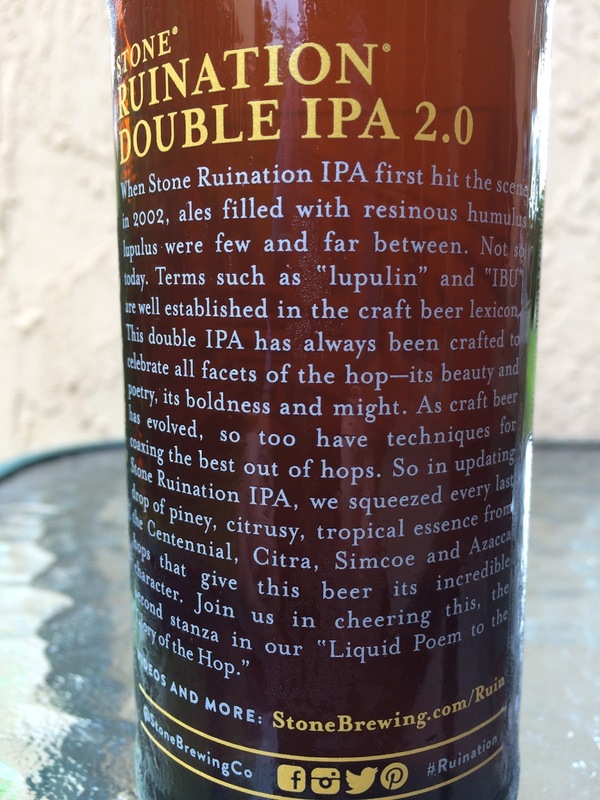 I recently saw that Stone Brewing released a new version of their Ruination Double IPA. I've always loved this beer so had to check out what was new. The story on the bottle says that since releasing the original Ruination in 2002, techniques and products have evolved, so they brought the beer up to date to "squeeze every last drop of piney, citrusy, tropical essence" to create Ruination Double IPA 2.0, "A Liquid Poem to the Glory of the Hop!" DRINK FRESH! 8.5% alcohol. Beautiful fruity sweet aroma with tons of pine. Flavors mostly drop the fruity sweetness in the beginning. Rather, loads of pine and sharp spiciness, aggressive on the palate. Dank, fresh hoppy bitterness dominates. Yeah, there is a subtle fruity sweetness that adds some relief, but even that is doubled up with more citrus zest and bitter peel challenges. You won't miss the kick of alcohol. 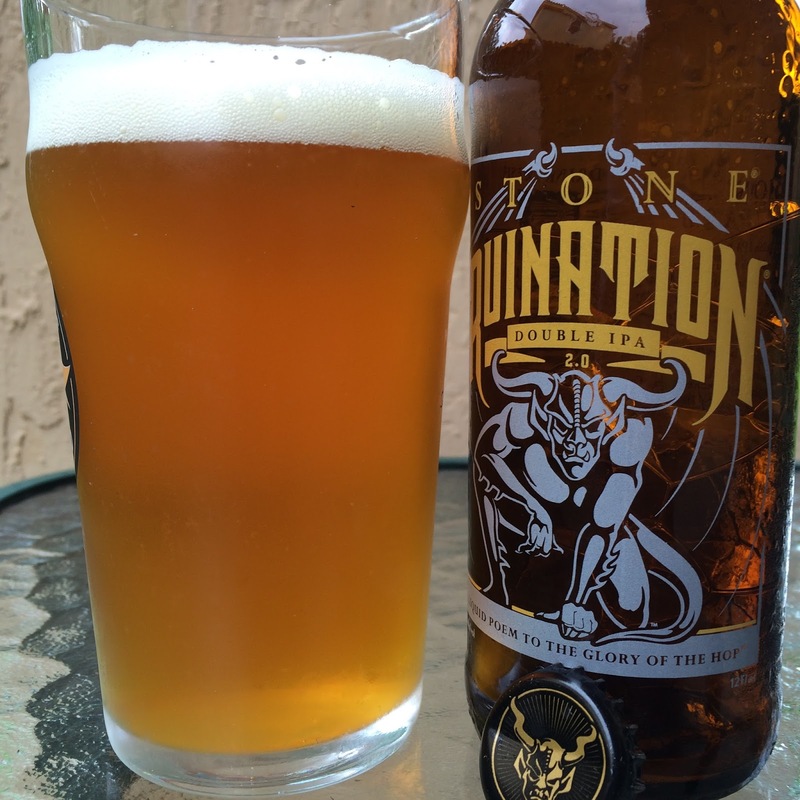 Hop lovers will love this! Updated but still a classic. Love it!